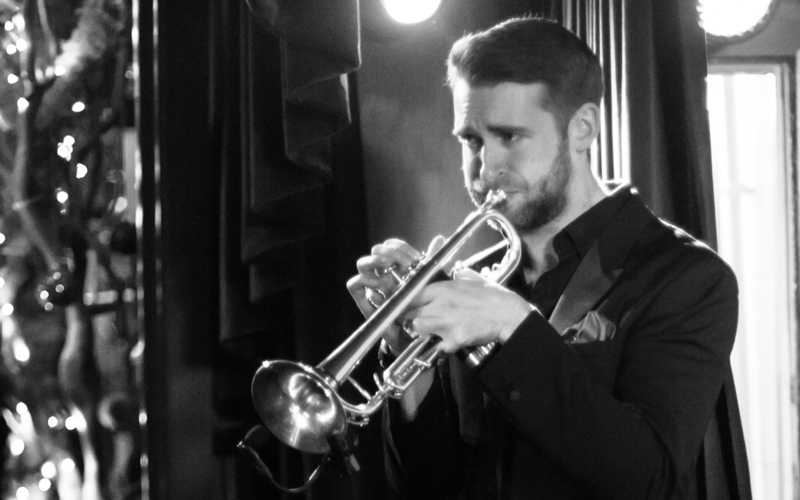 Mark Perry is an International multi-award winning trumpet player that graduated from Trinity College of Music (London). He has studied under the tuition of Pete Saberton, Steve Waterman, Paul Eshelby, Chris Batchelor, Julian Siegel, Mike Lovatt, Simon Purcell and also with two of his heroes Nicolas Payton and Alex Sipiagin. Mark Begun His trumpet career at the age of 8 where he started having private lessons at school every week. He worked his way through all the classical grades achieving distinction at the top level of grade 8. He then started showing a keen interest and passion for jazz, joining local jazz bands and playing at as many jam sessions as he could and then went on to join the National Youth Jazz Orchestra run by Bill Ashton. Mark enjoyed playing with NYJO for around seven years and has a lot to thank the band for as it helped him grow as a player learning from the band leaders and older band members. Highlights from playing with the band include playing at Ronnie Scotts jazz club for 3 consecutive days in January 2009, 2010 and 2011. One of which was recorded and released as a CD. Mark then got accepted onto the Trinity College of Music jazz course. While studying at Trinity Mark won the Gladys Puttick Competition Prize for free improvisation and the prestigious 2009 Yamaha Classic/FM Jazzwise Scholarship Award. In his final year he got selected as one of five pupils to go to Japan to run master-classes and lead the trumpet section with the Kunitachi Music academy big band, then performed at the Royal Tokyo Opera house with the big band and a set with the jazz quintet from trinity. Mark then went on to graduate from Trinity with a BMus(hons) in jazz. More recently Mark has very happily become an exclusive endorsee of Geneva Trumpets. Mark plays in many different bands ranging from pop sessions to intimate jazz clubs. Pop artists Mark has performed with include Leon Jackson, Rudimental, Conor Maynard, Nathan Sykes, Jessie J, Robin Thicke, Ady Suleiman and Izzy Bizu.